The 2019 Subaru Legacy from Briggs Subaru in Topeka, KS, serving Emporia, keeps your morning commute moving right on schedule. Enjoy smooth handling, thanks to a double-wishbone rear suspension and Subaru symmetrical all-wheel drive. Get impressive fuel efficiency with the 2.5L Subaru Boxer engine that supplies 25 MPG in the city and 34 MPG on the highway.1 Embrace comfort in a cabin that filled with high-quality materials and soft-touch elements for a sophisticated look and feel. Fit your lifestyle perfectly inside with the 60/40 split-folding rear seat that instantly expands your space. 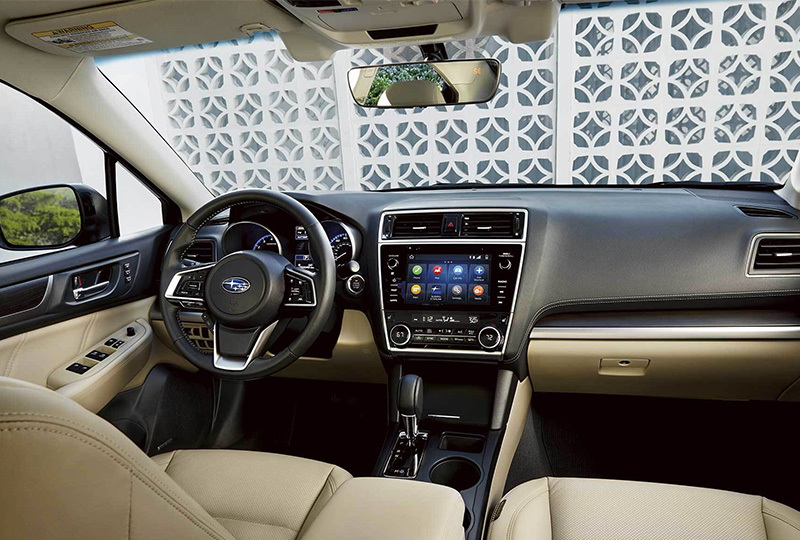 Go confidently with standard EyeSight® driver assistance technology, including automatic pre-collision braking and lane keep assist.2 Find plenty of entertainment options on the Subaru Starlink multimedia system that syncs to your smartphone with Apple CarPlayTM and Android AutoTM connectivity. Upgrade your experience with the available keyless access system and get push-button ignition for those days you can't be bothered to find the keys in your bag. There has never been a better time to drive home a new Subaru. Our models are priced to sell and new auto loan rates are at their lowest in years. 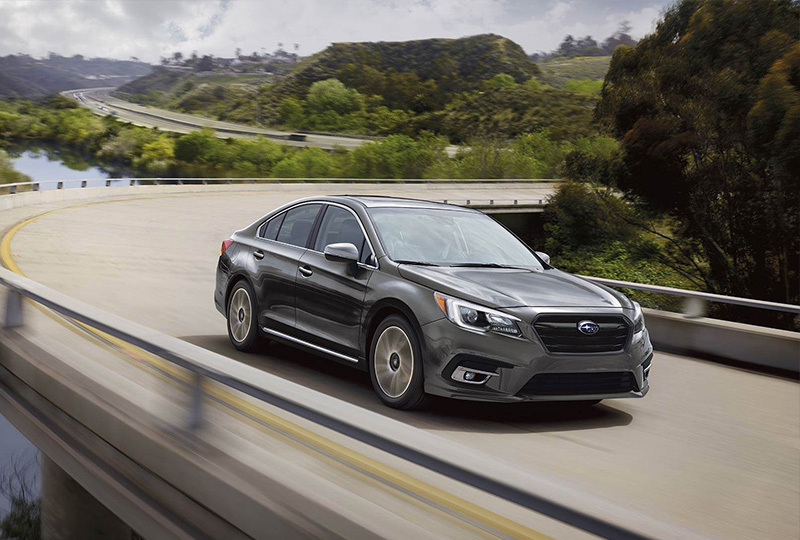 You can take your 2019 Subaru Legacy test drive with Briggs Subaru by visiting the showroom located at 3115 S Kansas Avenue, Topeka, KS 66611. The Legacy has the most total interior volume in its class, plus soft-touch, high quality materials for added comfort so your journey is always comfortable with more room for passengers and gear. Extensive noise-reduction measures including laminated glass and aerodynamic side mirrors make every drive more enjoyable and your playlist sound even better. 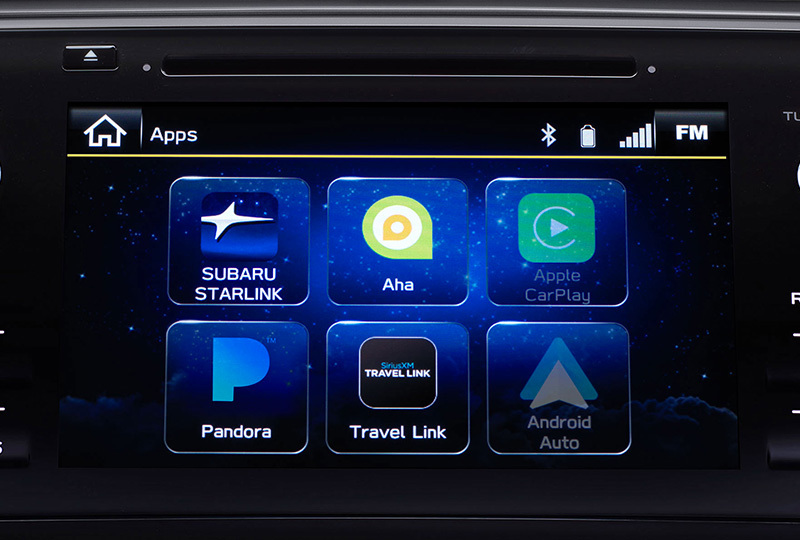 STARLINK Multimedia with Apple CarPlay™, Android™ Auto, and Pandora® integration is standard on the 2019 Legacy. Wireless pairing and hands-free smartphone operation allow for safe and easy connection to your favorite apps and content. 2 Based on manufacturer-reported total interior volumes for non-hybrid sedans within the EPA's Midsize Car class as of June 14, 2018. 1 Compatible smartphone and application required. For applications to operate, latest version of each application required. Data provided by smartphone is displayed on head unit screen. Some state laws prohibit the operation of handheld electronic devices while operating a vehicle. Smartphone apps should only be launched when vehicle is safely parked. Your wireless carrier's rates may apply. +EyeSight is a driver-assist system that may not operate optimally under all driving conditions. The driver is always responsible for safe and attentive driving. System effectiveness depends on many factors, such as vehicle maintenance, weather, and road conditions. 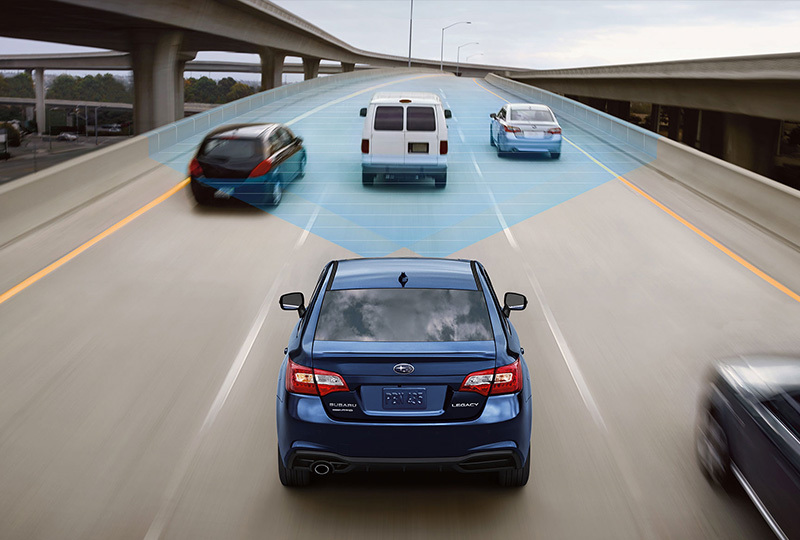 The Pre-Collision Braking System is designed to provide automatic braking that either prevents a collision or reduces the severity of a frontal impact. See your owner's manual for complete details on system operation and limitations.